Concord is a vibrant city with an active community, yet its downtown area did not reflect this. 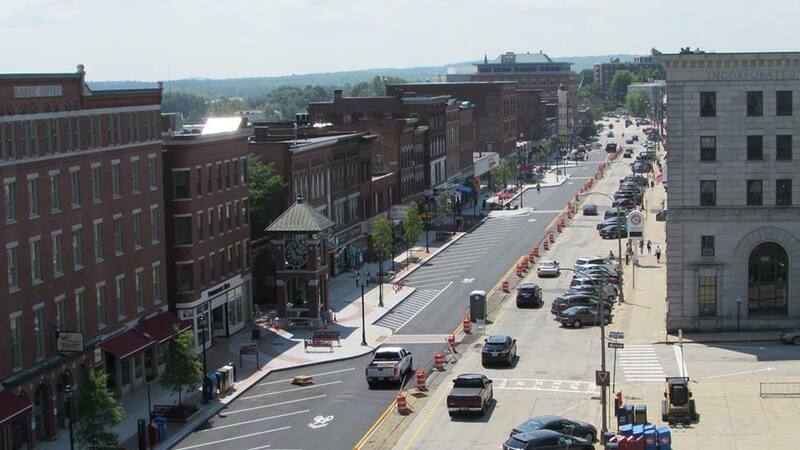 CRJA-IBI Group partnered with the project engineers, the City of Concord, and Main Street Concord, Inc. to help transform the city and the downtown. The improved Main Street creates new opportunities for businesses, social interactions, and community and cultural events for this dynamic community. Construction of the East side of Main Street was completed earlier this month and provides a stark before and after contrast to help visualize what the finished project will bring. The project is expected to be completed later this fall.